A spacious semi-detached, bay fronted period property with four bedrooms, two reception rooms, courtyard garden, parking, and a large basement, is situated close to local transport and amenities of Newton Abbot town centre. In need of modernising throughout, ideal investment opportunity. High ceilings with wooded floor, uPVC sash bay window, to the front. Gas fire, radiator. High ceilings with wooden floor boards, feature open fireplace, radiator, uPVC windows to front and rear. Good size kitchen with fitted wooden units, integrated fridge, free standing gas oven and hob. Single cream sink, uPVC stable door to leading to the rear courtyard, Door leading to shower and WC. Combi boiler. UPVC windows to the rear. steps leading down to four rooms that have lighting and windows with partial outside view. Gas and electric meters. Potential for further living space with correct planning consent. Previously used as an extra kitchen space, that has now been removed. Feature fireplace, high ceilings, wooden floor boards, radiator, loft access and uPVC window to the rear. Partly modernised with new glazed shower cubicle with stainless steel overhead shower. Green WC and wash basin. Radiator, mirror and uPVC window to the rear. 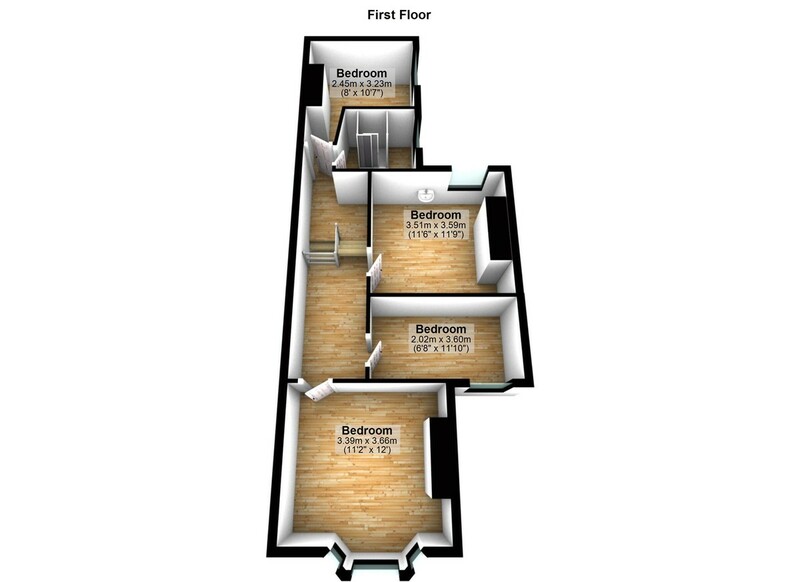 Double room with high ceilings, vanity sink, carpet, radiator, uPVC window to rear. Large single room with high ceilings, wooden floor boards, loft access, radiator, and uPVC window to the front. 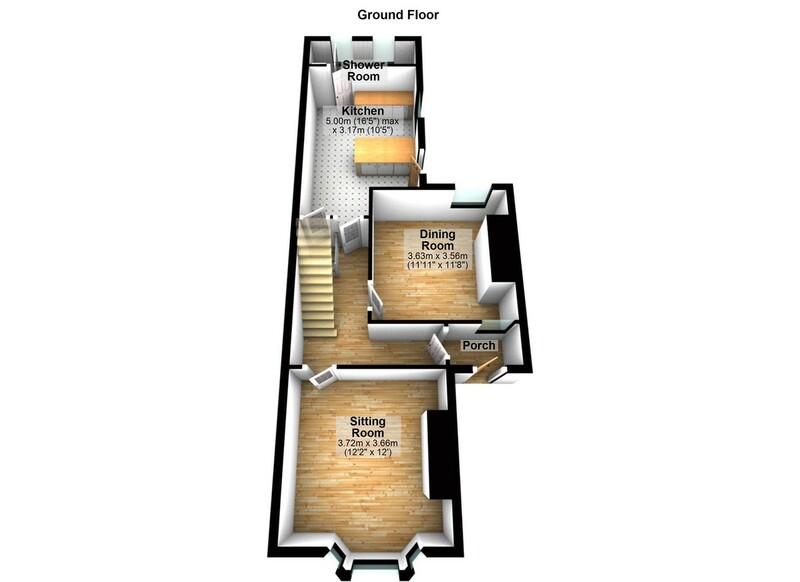 Large double room with high ceilings, wooden floor boards, radiator, uPVC sash bay window to the front. Access from the off road parking space via a iron metal gate to a paved courtyard with raised beds. Further access to the lane at the rear of the property. A spacious semi-detached, bay fronted period property with four bedrooms, two reception rooms, courtyard garden, parking, and a large basement. It is situated close to local transport and amenities of Newton Abbot town centre. In need of modernising throughout, ideal investment opportunity.